Black Friday Deals + Doorbusters! 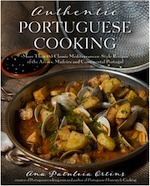 Greetings Cooking Fans & Foodies! Save on your holiday favorites during our Black Friday to Cyber Monday Sale! Save up to 40% on select items! Get a hold of our doorbuster deals while supplies last! Spend $200 or more and enter coupon code: KNIFE you will receive a free Kyocera 2-Piece Ceramic Knife Set! ($75 value). These are Chef Ming Tsai’s favorite knives and the same knife set that has been featured as one of Oprah’s Favorite Things in the past! There are a limited number of Doorbuster items available and they will be first come first serve. To get the doorbuster deal, you need to spend the minimum requirement for the doorbuster you wish to claim and enter the corresponding coupon code at checkout. If your coupon code is accepted a discount of $.01 will be taken off your order and we will include your free doorbuster gift when your order ships! Limit 1 coupon code per order. In addition the doorbusters, take a look at our featured lower prices on the following items! 4 DAYS ONLY! Save on super low prices on top holiday items! Heritage Mills Lunch Milk Crackers: Regularly $5.99 – NOW as low as $3.69/box for 12 or more! For more great deals be sure to check out our Hot Gift Ideas page and Overstock section for savings of up to 40% or more on select items! 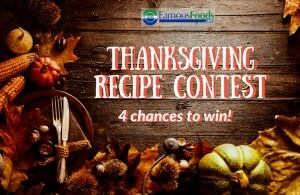 LAST CHANCE to be a Thanksgiving Recipe Contest Winner! Submit your favorite recipe from today’s big feast to enter to win a free shipment of New England foods! Email or Facebook message FamousFoods.com a recipe using one of our products or a product you wish we’d carry. Then the FamousFoods.com gang will choose a winner to be featured on our blog, newsletter, and Facebook page!